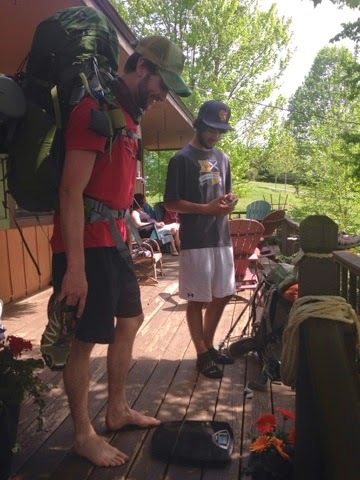 Well, we had our 1st personal shakedown before our thru hike today. 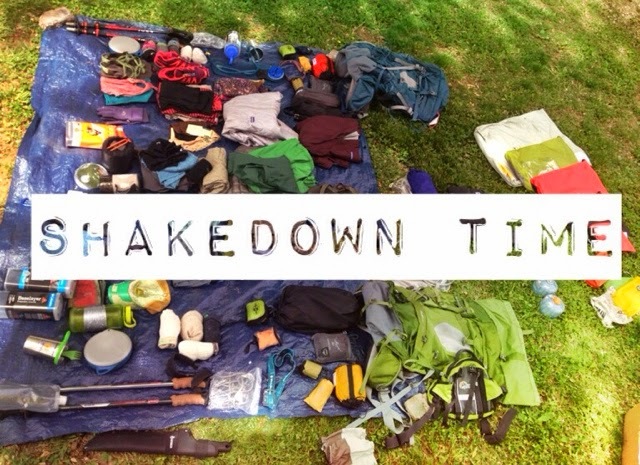 I highly recommend conducting a shakedown before you plan any long distance hike. It’s a great opportunity to inspect all of your gear to see what needs to be replaced and what isn’t necessary. Also, a good time to see if you are missing any important items. I’ve heard of some outfitters offering shakedowns for free. Luckily, I’m from a family of experienced hikers and gearheads so we are all pretty up-to-date on the latest and greatest. 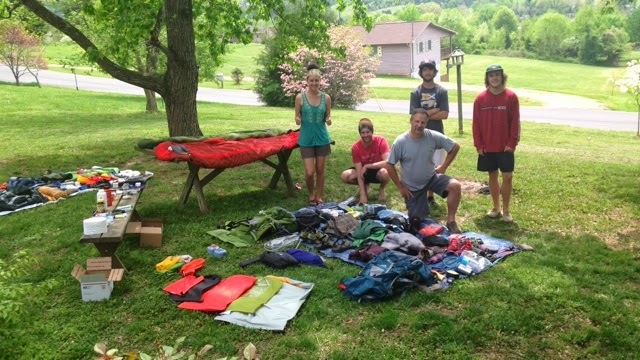 We all grabbed a tarp and started laying out our gear by compartments. Somehow mine and Stacey’s spilled over to a table and bench. 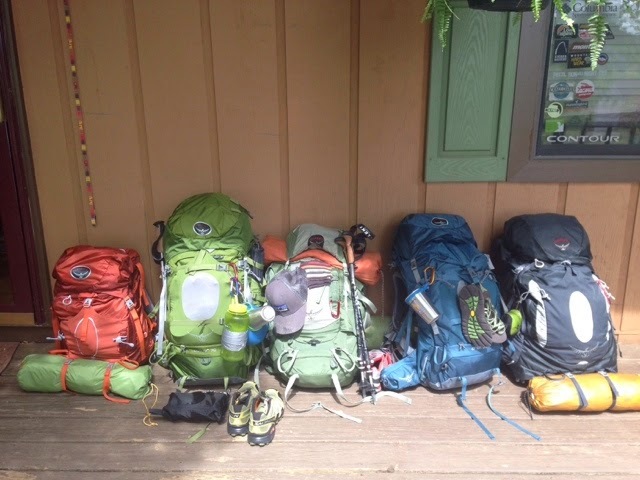 Tuck and Dad had everything organized in a matter of minutes— such backpacking pros! And well, Luke . 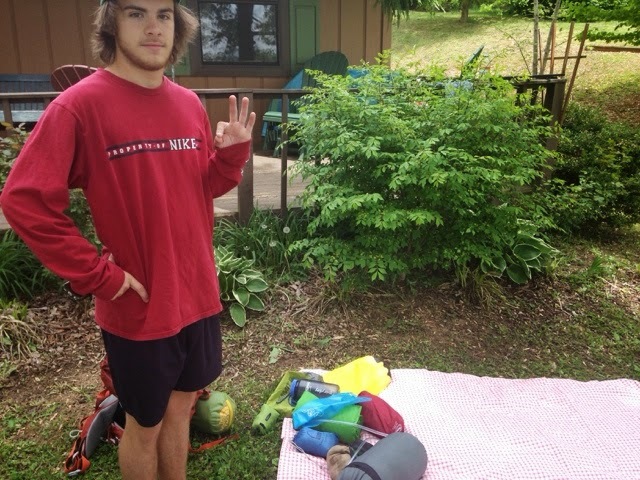 . . he took all of 2 seconds to lay out his stuff. Granted he still has some things to purchase. It’s a good thing Trail Days is in a couple weeks! After everything was out, we took turns sifting through each others things and made some, ahem, recommendations. Such as “Amber, you better get some rain pants and bug spray.” According to Mom AKA Trail Boss, “Maine sounds horrible . . . you cross rivers chest deep and bugs eat you alive.” Sounds like an adventure to me! 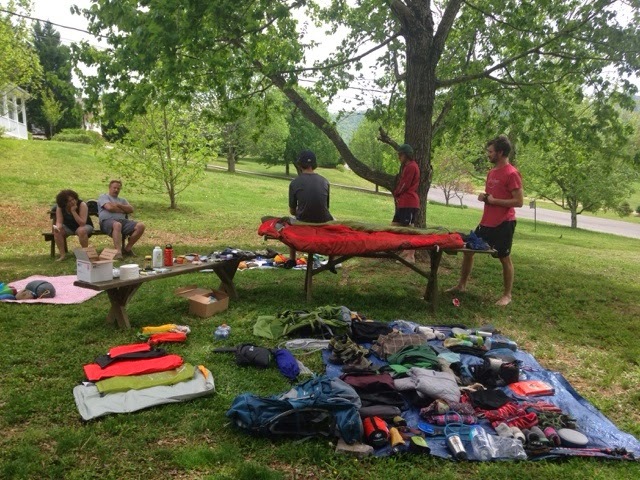 After gear inspection we packed up and hit the scale. 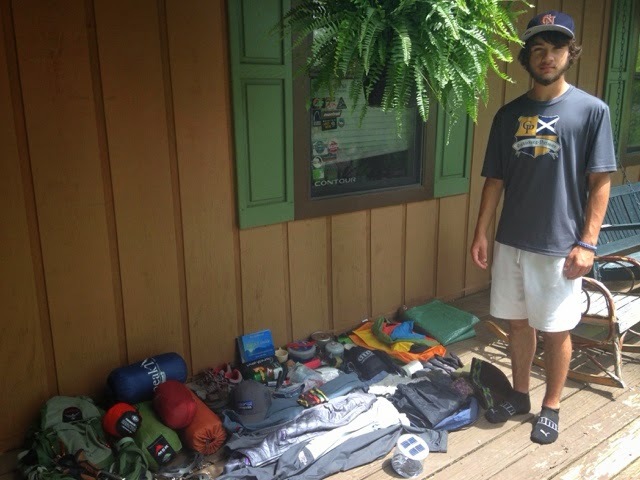 I’m a bit obsessive about ultralight weight gear. I know some hikers who get annoyed by others obsessing over ounces, buttttt it all adds up! We all have a goal to keep our pack around 30 lbs. Stacey and Tuck are making some adjustments to get theirs lighter. And here they are fully packed minus food! Showing off our love for Osprey! We plan on doing one more shakedown with food in a couple weeks. I’ll post detailed lists of what’s in our packs then!